Locked out of your car? Let the experts help. Our auto locksmiths will get you back on the Perth roads fast. With top-notch professionals, unbeatable prices, and our 24/7 emergency service help is only a phone call away. We our a leading locksmith service provider in Perth covering all areas. Getting locked out can ruin your day when it comes to the hassle, the wait, and the cost. You may be tempted to try to “break in” yourself, but don’t do this. 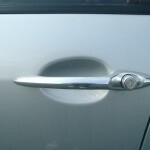 Many cars have security features that will break the door lock if handled wrong. Attempts to force the door lock using Slim Jims, coat hangers, and other do-it-yourself solutions may leave you with a car that won’t unlock even with the key. This can end up costing you more time and money, so leave it to a professional. With us, it is easy. We have low prices and locksmiths on call 24/7 so that we can get to you fast. What are you waiting for? Call now for one of our car locksmiths and be back on the road in no time. If your key is worn out, broken or lost we can help. We have keys available for almost every model of car and truck. When you call us, we will send you an auto locksmith who can cut you a new or duplicate key, right on site. Car keys seem at times like they’re repelled from us because you’re sure you put the key in your pocket or purse but when you get back, you see them on the floor or worse, mocking you from the ignition. Before you reach for the wire hanger or a tire iron, call a locksmith because we can help you in a variety of ways including car, trunk or glove box lockouts. Newer cars have security systems specifically designed to defeat the coat hanger down the door and your poking around might actually damage gears or wiring in the door. Another way emergency locksmiths services can help you in a stressful situation is if you’ve had your car broken into you need an ignition or lock replaced. Usually, the thief either destroys the lock in the attempt so your key is now useless or they had a copy of a key so you don’t want to let them return and pillage you at will. A good locksmith has a mobile shop that can take of this on the spot. If someone tried to break into your car, your door lock may no longer open, even with a key. This is a security feature on many newer vehicles, and is often the first sign someone tried to break into your car. If your lock is broken, a professional car locksmith can get it fixed. Our service is fast, easy and has the lowest prices around. We can also retrieve broken keys from locks and ignition switches. We will get your door locks working again so that you can get back on the road. Call us at any time, our hotline is open 24-hours so that we can get a locksmith out to you fast. Your car won’t start? Maybe your key broke in the switch because the ignition just doesn’t want to turn. Ignition switches are just another type of lock and can get worn out over time. We repair and replace broken and worn out ignitions on most types of automobiles. We will retrieve broken keys and can cut you new keys right on the spot if needed. We can even rekey your ignition if your keys are stolen. Call our 24 hour lock smith emergency line and as for a car locksmith for any ignition issue. Don’t pay dealership prices. We can replace any type of key, even chipped keys. Many newer models have transponder chips or keyless fobs as added security. Our locksmiths on call have the tools to program new keys, or reprogram your car’s chips if you key is lost or stolen. We also make and program the keyless entry fobs that can unlock your car or start your engine remotely. Call us anytime for all your car locksmith needs. Call us now to have a locksmith come to help you in Perth and other areas. Our Locksmiths are highly skilled and qualified to repair each and every lock. We can get into any lock of any type. So if you are locked out, need a lock repair or lock replacement or have lost your keys, call us now to get back in fast!